TinEye: What’s in a name? Many of you have asked us where the name “TinEye” originated. We’ll give you a quick hint: ROBOTS. We at Idée love robots, machines, and all things mechanical. In fact, our office is filled with mechanical friends! So a little history: back in 2000 when we were brainstorming cool names for our image recognition technology, it was no surprise that robots came to mind. Not just any robots, but those awesome tin toy robots of yore. Et voilà, the birth of TinEye! Well not really, as when we registered TinEye in the year 2000 – oh that has a nice ring to it – there was no TinEye, no reverse image search engine and no image recognition breakthroughs yet. 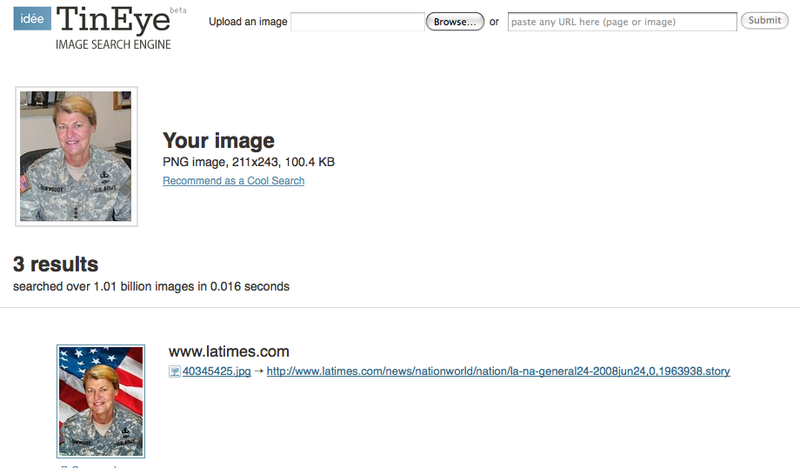 There was a team, excited about changing image search. We love our reverse image search engine name today but back then, had you been a participant in our brainstorming sessions you would have seen a polarized and totally divided team. Seriously who calls a search engine TinEye? Doesn’t the expression “tin ear” mean insensitive to music or subtleties in certain situations. 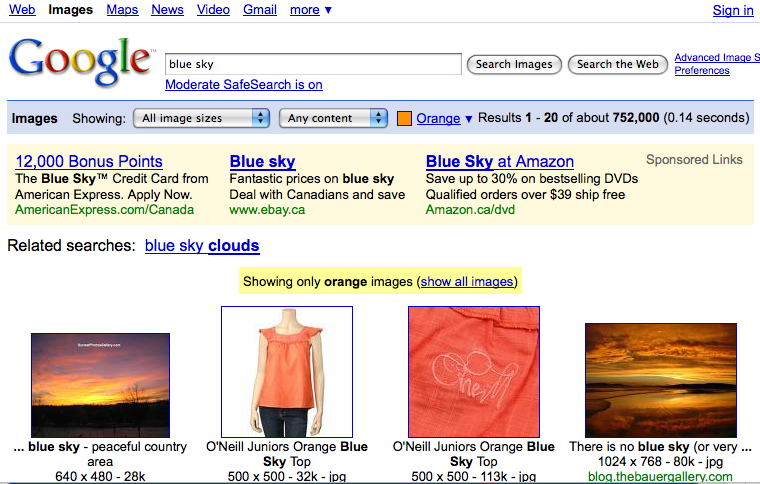 If we called our reverse image search engine TinEye, wouldn’t we send the wrong message right out of the gate? And so did the conversations go… and go… and go… until we bit the bullet because we have a CTO who is obsessed with image search and when he becomes obsessed with a name, well it is game over for the rest of us! TinEye’s “eyes” may be faster and keener than us mere mortals when it comes to finding image matches in billion image collections, but there are some things that human eyes can still do better! Like choosing the right colour palette to suit the mood of an image, or knowing just where to crop a photo to make it “pop”. TinEye on the other hand is laser focused on being the best reverse image search engine possible. For those of you wondering if we were inspired by Brandon Sanderson’s Mistborn trilogy: the story is awesome and the Tineyes in it are neat, but no, Mistborn was not even written when we picked our name. Bright minds think alike? And there you have it, the etymology of our little robot TinEye! Now if you want the play with the real deal in multicolour searching head over to the Idée lab! Love how a blog post on LifeHacker about Google’s colour search moves into a full discussion of Idée’s technologies namely: TinEye and Multicolor search. Fun times in the Ideeplex! “.. in business, as in basket ball, the smart take from the strong – that the best way to outperform the competition is to outthink the competition.. ” and it’s the “..mavericks do the work that matters most – the work of originality, creativity, and experimentation..” totally driven by passion! Which makes me really excited about the sold out Refesh event on Monday: where passion meets ignite presentations! We will start the evening with a passion presentation by Peter Flaschner followed by 6 Ignite presentations and since I am the last one that evening (and it is Monday too! ), I will make my TinEye Ignite presentation extra tasty! As most of you know, TinEye is our reverse image search engine. Go ahead try it, it does not bite and does quite a bit of searching too. 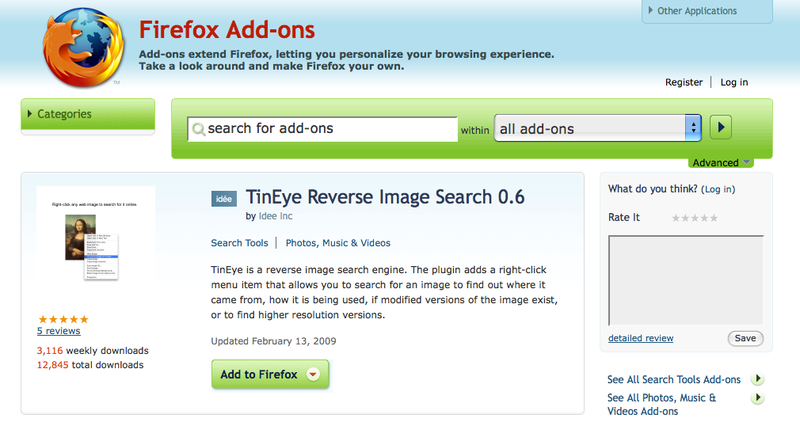 We released our TinEye Firefox add on a few months ago and today it has close to 13,000 downloads! TinEye – the debunker of fake photos! Via BoingBoing: My unexpert analysis concludes that these photos of a 100-foot long river snake from Borneo are as phony as a politician’s smile. Well yes, they are. Fromage who is a TinEye user pointed out that the photograph was a fake and that one of the original photograph could be found here. Here is a link to the entire TinEye result set. TinEye is a Cool Tool: well hell yeah! When Kevin Kelly talks *you* listen. I am a huge Kevin Kelly fan so seeing our little reverse image search engine on his Cool Tool list made me sing all day. Ok not all day but you get the idea! Somebody please tell the Department of Defense about TinEye. I mean if you are going to retouch photographs and release them as handouts, would you not first want to make sure that nobody can actually find the originals? And what’s the best way to do that (besides Bob Owen’s eagle eyes!)? TinEye it is. I have the feeling somebody in the Ideeplex is going to get this lovely T-Shirt. So many robots, so much fun. I am looking forward to TinEye joining the robot armada soon and this little tshirt will need to be updated again; because TinEye is a super hero now! non-union robots. Robots with simmering resentments that might! just! blow! up! Ah… I knew we were not the only ones using robots! I flew from Seattle to San Francisco on Virgin America and this video just totally cracked me up. And yes the entertainment on Virgin includes Boing Boing videos. How cool is that? Oh Air Canada how I would love you to steal a page from the Virgin book.